Source: Arkansas State Veterans Cemetery in Birdeye. The cemetery provides a final resting place of honor for Arkansas veterans and their eligible dependents. LITTLE ROCK, Ark. --- The Department of Veterans Affairs’ Under Secretary for Memorial Affairs is scheduled to present an award to the Birdeye Arkansas State Veterans Cemetery staff at the cemetery on Friday, August 10 at 11 a.m.
Mr. Randy Reeves, 6th Under Secretary for Memorial Affairs, along with Governor Asa Hutchinson will recognize the Birdeye team for scoring 94 percent on a federal inspection of cemetery operations led by The Department of Veterans Affairs National Cemetery Administration. Birdeye met or exceeded 81 of 86 applicable performance targets in the areas of Internment Operations, Grounds Maintenance, and Headstone, Marker, Niche Cover Operations during a December 2016 compliance review. Formally dedicated on May 4, 2012, the Arkansas State Veterans Cemetery at Birdeye is located on a 100-acre property in the rural community of Birdeye, east of Cherry Valley, in Cross County approximately 18 miles north of Wynne. 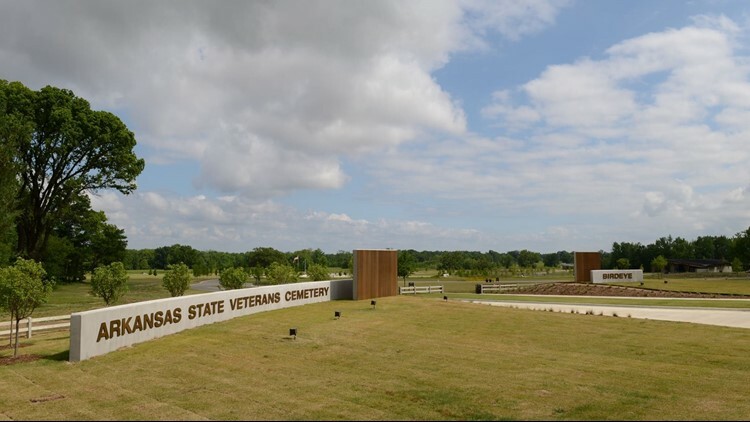 The Department of Veterans Affairs National Cemetery Administration awarded more than $7 million in federal funding for the construction of the Birdeye cemetery. For more information on U.S. Department of Veterans Affairs National Cemetery Administration contact Public Affairs Officer Jessica Schiefer at (202) 632-8025 or Jessica.Schiefer@va.gov.